An accident sends Tyrian and his sister, Orionna, plummeting into rapid creek waters. Loolie, a fairy princess, risks a hundred-year life to rescue the girl. The boy witnesses Loolie's sacrifice and the two become friends. 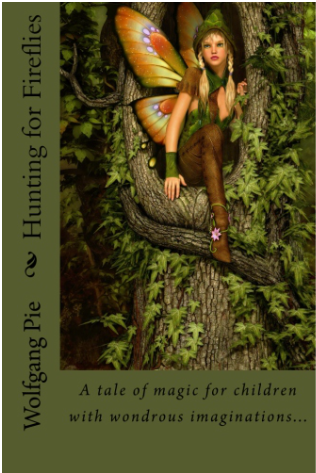 As time passes, his love for the fairy grows, but his sister doesn't know about the woodland fairies and laughs at her brother's fascination with mythical creatures. When Tyrian introduces Orionna to Loolie, something goes dreadfully wrong. To save the children's lives, Loolie turns the children into fairies. Can the children survive in a miniature world where danger lurks behind every blade of grass? Will their very own parents swat them like bugs? Hunting for Fireflies for your Kindle and Paperback Available at Amazon. Available in audio book for those long road trips! NOW AVAILABLE IN PAPERBACK PRINT!!! Two Ice Age kids are orphaned and left to survive alone in the wild after their parents are killed in a bear attack. Tusk and his sister, Flint, discover ancient cave paintings with a horrific warning and instructions on how to survive a deadly meteor headed their way. 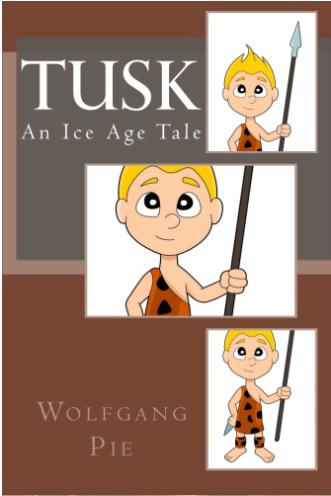 Tusk is a natural born leader and believes only he can warn others and lead the clans to the land bridge and the New World. Flint has secrets of her own and a plan with a woolly mammoth to unite the animal kingdom before their world is blown away. Reviewed by Stephen Knight, Best Selling Author ~ For younger readers, this adventure story about two prehistoric kids left to fend for themselves after their tribe migrates to another region simply rocks. Faced with substantial adversity in the form of saber-toothed lions, a hostile environment, and an unfolding prophecy they're not properly equipped to deal with, this story has everything a young reader--or even an older one, such as myself--could ask for. A definite five-star extravaganza that Pie handles quite adroitly! 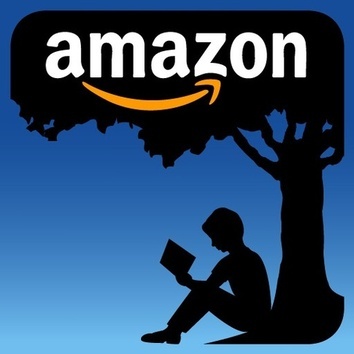 Tusk Ebook for your Kindle, Audio Book and Paperback Available at Amazon.